Big Daddy Kane, Nice, Digable Planets, 2pac and Kris Kross. Hip-hop culture IS American culture. Hip-hop chronicles and represents the American story with raw struggle and life shaping experiences. Hip-hop gave a voice to the disenfranchised and then itself got franchised. 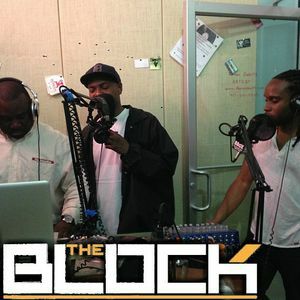 Each week, we’ll use our two-hour block of time to take YOU back in time to ‘The Block’. We’ll immerse you in a rich urban cultural environment that synthesizes the experiences of the hip-hop phenomena. We’ll focus on the music, artists, influences and culture from the 80s to the 90s.